Each year MSA hosts 10 formal competitions, these are split up into the RIFLE events and the HANDGUN events , shotgun is shot as a HANDGUN event. 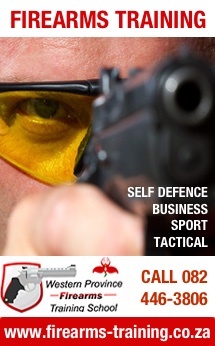 We try and accommodate all firearm types and have a shoot that you can use just about all your firearms in. New shooters sometimes feel a bit intimidated to join in the competitions but we can guarantee you they are all shot in the best spirit and it really is fun shooting. Yes everybody does there best but the social banter on the firing line will quickly dispel any worries about this being too formal. Our shooting competitions kick off on the second Saturday of February every year and as is tradition we start with the HANDGUN events. The competitions start from 09h00 but due to the full number of events we usually kick off shooting just after 08h00. We usually finish up shooting by about 14h00 – 15h00 in the afternoon but we structure the events that you can shoot those you want to take part in and skip those you don’t. We do want all shooters signed in by 09h00 as it is unfair to the range officers to have them hanging around all day waiting for a shooter to show up after his family lunch and shopping trip. We do however under exceptional circumstances make arrangements for people who cannot make it to the range by this time to shoot a bit later. After the shoot we usually retire to the club house for a braai and lemonade. The following month ie March we kick off the RIFLE shoots, same procedures as above. We then alternate HANDGUN and RIFLE shoots each month with the final RIFLE shoot taking place on the second Saturday of November. If a shoot is rained out or cancelled for any reason, we try reschedule for the next available Saturday. Our shooting history dates back to the 1970’s and we have a strong family of good shooters. Many shooters have grown up with the club , starting out as juniors and are now top shooters. It is a great day out for the family and woman and children are always welcome, it really is not a men’s only sport. The ladies often outshoot the guys! Pop on down and join in we look forward to seeing you on the range.